You might have brought peace to Medici already, but wingsuiting along mountainsides and strolling through cornfields just isn’t the same without the constant fear of death and the soothing sound of distant explosions. If explosions are your thing, check out our list of the best sandbox games. 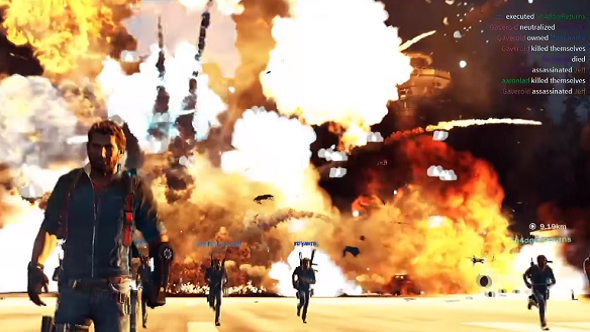 Back in July, the creators of Just Cause 2’s multiplayer mod cancelled work on the same mod for Just Cause 3, thanks to the mod creator getting a job at developers Avalanche. Luckily, another group stepped in to deliver on the promise of multiplayer mayhem in Medici, and so the beta for Just Cause 3’s multiplayer launched today. Head over to the Nanos site for details on how to sign up.Check out the beta trailer embedded above. The beta will allow you to host your own servers and create new game modes, if you facny a private island retreat with your friends. A stable version of the mod is due early next year.